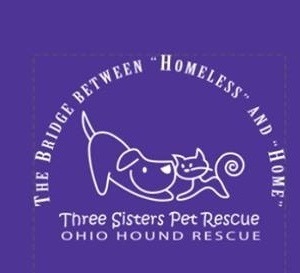 Cotton t-shirts are deep purple with white "Three Sisters/ Ohio Hound Rescue" logo. Sizes range from M to 2X. Price includes shipping.